A couple months ago I was searching for Ronald Colman on Amazon, and THIS came up in the search results. 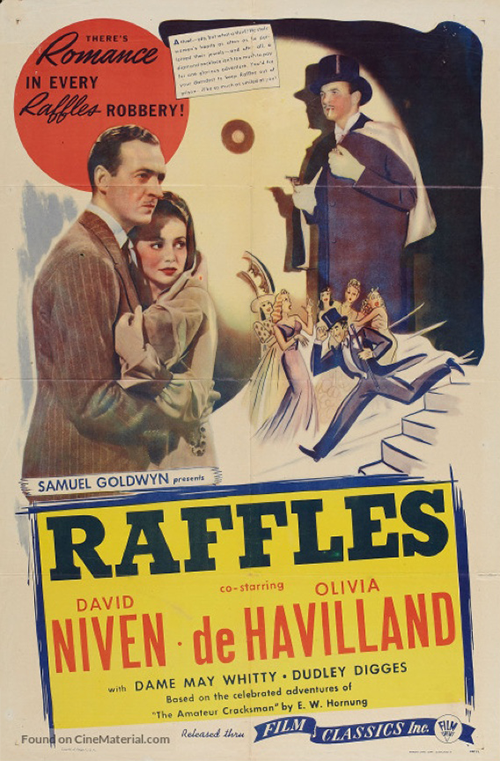 It's a Warner Archive double feature DVD with both the 1939 AND 1930 versions of Raffles. FINALLY!! A lot of the time when I'm obsessed with tracking down a movie, there isn't any real reason behind my mania. It's usually just because I'm being a completist (Still trying to find the 1970 TV movie Upon This Rock to complete my Dirk Bogarde collection, argh!!) or the mere fact that the movie seems unattainable makes me desperate to attain it. I compare movies to boyfriends a lot but seriously... if you play hard to get I'm going to want to watch you EVEN MORE. Anyway, the main reason I wanted to see this particular movie so badly is because the ending of the remake seems like it was tacked on to obey the production code. I desperately wanted to know if the pre-code version had the same ending. 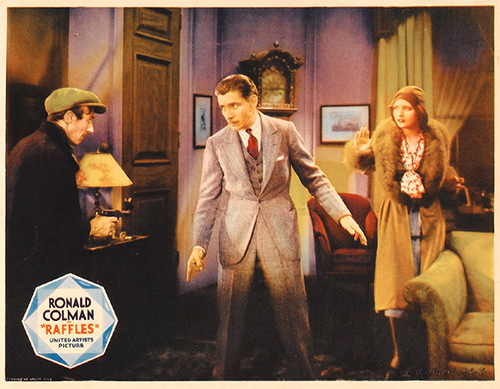 The 1930 ending: The police enter Raffles' apartment. The chief inspector spies a plane ticket to Amsterdam, apparently the place to unload hot diamonds, and Raffles confesses. 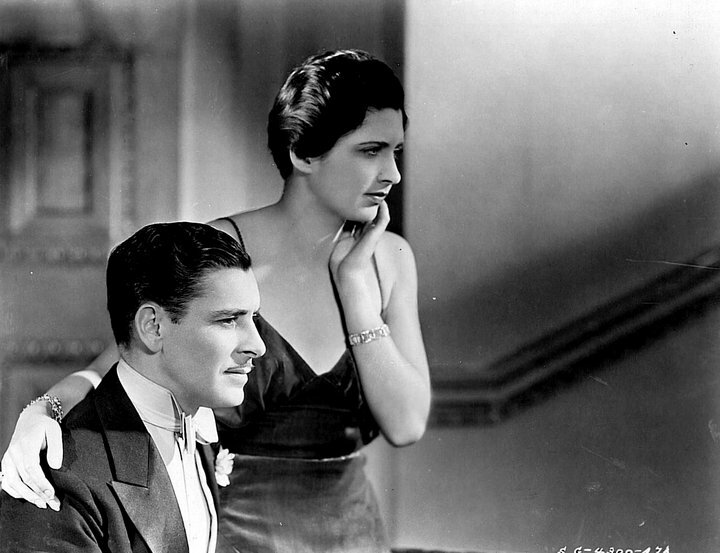 But just as he's about to be arrested he pulls a daring escape, asks Kay Francis to meet him in Paris, and then disappears into the night. THE END. The 1939 ending: The police enter Raffles' apartment. The chief inspector spies a plane ticket to Amsterdam (9 years later it's still the best place to unload hot diamonds.) Raffles confesses. But just as he's about to be arrested he pulls a daring escape. Then he goes back to his apartment, has a small love scene with Olivia de Havilland (no promises of Paris this time) and heads off to keep an appointment to TURN HIMSELF IN to the Chief Inspector at 7pm. THE END. That ending always struck me as so unusual... why does he evade arrest and then turn himself in anyway? It felt very tacked-on, like the original movie ended with his escape and then because of the code they had to add the part where he gets his just desserts. Having finally seen both movies now, I feel vindicated, but also kind of bummed out because it just reminded me that the code watered down so many otherwise great movies. That being said, I did enjoy the remake (I re-watched it after the 1930 version last night.) David Niven makes a fantastic Raffles. I still prefer Colman, but they both pull off the effortlessly-suave-and-likeable-criminal thing very well. The remake isn't as tight as the original (despite both clocking in at 72 minutes) but the cast does include Dame May Whitty, and honestly that's reason enough to watch anything.